Joseph Henry spent fourteen years at the College of New Jersey, serving as Chair of Natural History between 1832 and 1846. Sam Parker, his assistant, was a free black man. Before accepting an appointment in Washington, D.C. as the first Secretary of the Smithsonian Institute, Joseph Henry spent fourteen years at the College of New Jersey (now Princeton University), where he served as Chair of Natural History between 1832 and 1846. During his tenure at Princeton, Joseph Henry taught courses on subjects ranging from natural history and chemistry to architecture, while assembling an impressive physical laboratory in Philosophical Hall. 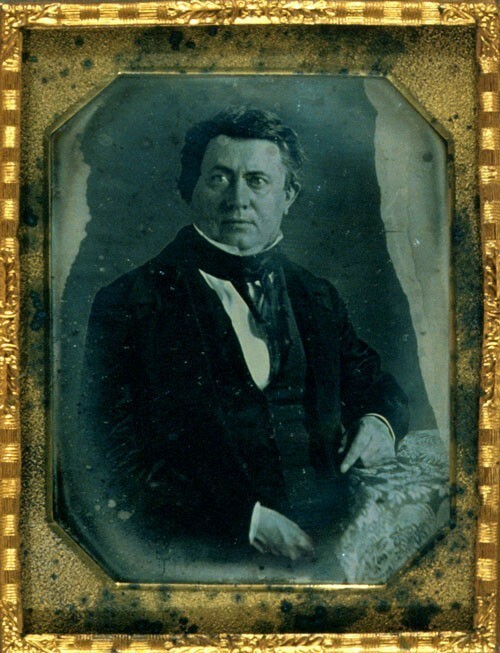 Daguerreotype of Joseph Henry, taken in 1843. In a letter written to Samuel Bayard Dod in 1876, Henry recalled the “several thousand original investigations on electricity, magnetism, and electro-magnetism” he made while at Princeton, writing: “They have cost me years of labor and much expense.” Following Henry’s death two years later, Dod delivered a memorial address in the college chapel celebrating the former professor as a “great discover” who had ingeniously “devised and in great measure constructed the apparatus with which many of his wonderful discoveries were made.” Henry’s laboratory included several large instruments, among them a galvanic battery with adjustable output, an electromagnet of unprecedented strength, and induction coils of his own devising, but his researches at Princeton were not the work of a self-sacrificing genius. Henry’s laboratory—and the experiments he carried out in it—depended upon the assistance of his mixed-race servant and assistant, Sam Parker. The Trustees have however furnished me with an article which I now find indispensible namely with a coloured servant whom I have taught to manage my batteries and who now relieves me from all the dirty work of the laboratory. Parker, paid an annual salary of $48, would work in Henry’s laboratory and household for the next six years. His assistance became so critical to Henry’s research that when Parker fell ill for a brief period in June 1842, Henry’s experiments halted entirely. For his part, Joseph Henry referred to Parker as a “servant” and “assistant” interchangeably—perhaps revealing just how central “the interests of science” were to the way the professor and future statesman understood the world, and how blind he could sometimes be to the world beyond it. Like many Northerners, Henry was an anti-slavery sympathizer who “did not much like the idea of living in a slave state,” though he freely admitted that his political principles alone would not have stopped him from accepting a teaching position in the South. 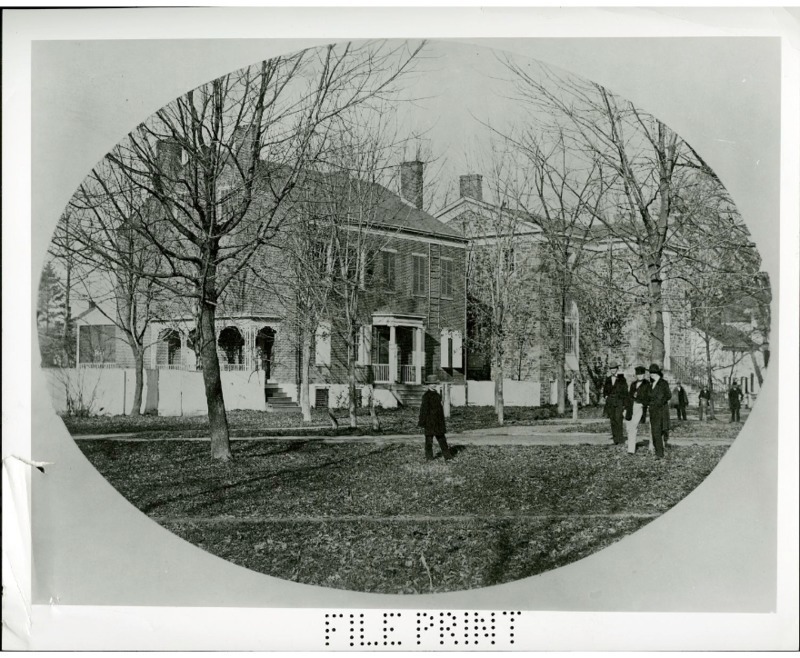 Joseph Henry's home in Princeton, New Jersey. It was to this house that Professor Henry sent telegraphic messages (sometimes to order lunch) from his laboratory in Philosophical Hall. The vision of Henry as an ingenious inventor and “great discoverer” expressed in Dod’s 1878 memorial address lives on in the Princeton community today. The former professor is memorialized at the Joseph Henry House, by the statue outside the main doors of the Frist Campus Center, and in the murals in Green Hall, painted by Gifford Beal in 1946. Several instruments from Henry’s Princeton laboratory are also displayed in the lobby of Jadwin Hall. Far less attention, however, has been paid to the free black man who made much of Henry's research possible: Sam Parker. 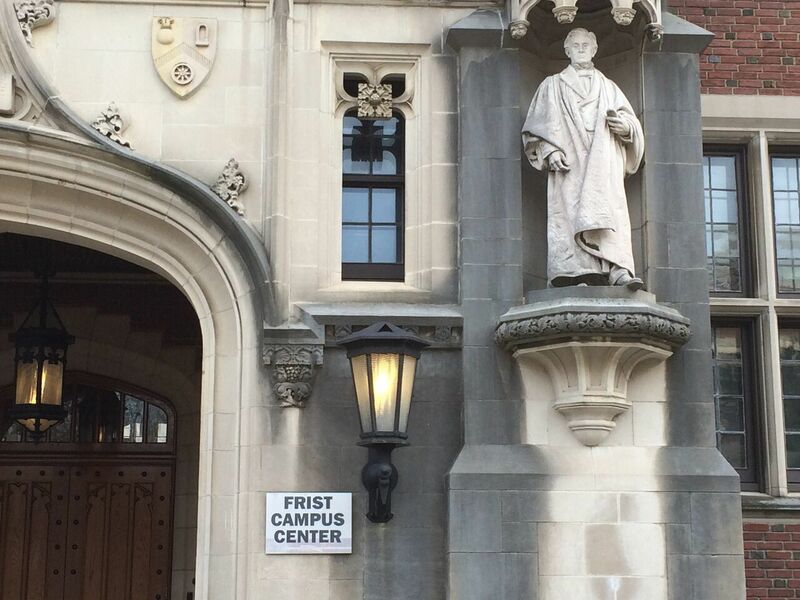 Statue of Joseph Henry on the exterior of Princeton's Frist Campus Center. Julia Grummitt is a graduate student in Princeton’s history department studying visual culture in 19th-century North America. The Papers of Joseph Henry, Volume 2, ed. Nathan Reingold (Washington, D.C.: Smithsonian Institution Press, 1975). “Discourse Memorial by Samuel Bayard Dod. Delivered in the College Chapel, Princeton N. J. on the 19th of May, 1878,” in A Memorial of Joseph Henry, Published by Order of Congress (Washington, D.C.: Government Printing Office, 1880), 143. “Discourse Memorial by Samuel Bayard Dod,” 141. Edward Shippen, “Some Notes about Princeton by Edward Shippen, A. B. 1845,” Princeton University Library Chronicle Vol 59 (Autumn 1997), 16. Joseph Henry to [Princeton Trustees?, ca. 1838], Henry Papers, Smithsonian Archives, quoted in “Introduction,” The Papers of Joseph Henry, Volume 2, ed. Nathan Reingold (Washington, D.C.: Smithsonian Institution Press, 1975), xxi. Henry refers to Parker as an “indispensable” article especially because of the messiness of working with galvanic batteries, and recommends Loomis use a Daniell constant battery instead. See The Papers of Joseph Henry, Volume 5, ed. Nathan Reingold and Marc Rothberg (Washington, D.C.: Smithsonian Institution Press, 1985), 29. The Papers of Joseph Henry, Volume 4, ed. Nathan Reingold (Washington, D.C.: Smithsonian Institution Press, 1981), 452; The Papers of Joseph Henry, Volume 5, 226. See Henry’s “Records of Experiments” from 12 July 1841, 4 November 1841 and 6 May 1842 in The Papers of Joseph Henry, Volume 5, 62, 114, 164. Shippen, “Some Notes about Princeton by Edward Shippen, A. B. 1845,” 30. As he explained in an 1835 letter to his brother James, only his sense of duty to Princeton had prevented him from accepting a lucrative position at the University of Virginia. The Papers of Joseph Henry, Volume 2, 428-9. The Papers of Joseph Henry, Volume 3, ed. Nathan Reingold (Washington, D.C.: Smithsonian Institution Press, 1979), n. 431. Richard Kurin, “The Devastating Fire That Nearly Consumed the Smithsonian Castle 150 Years Ago This Month,” accessed 17 July 2017, http://www.smithsonianmag.com/smithsonian-institution/devastating-fire-nearly-consumed-smithsonian-castle-150-years-ago-month-180954002/?no-ist. The Papers of Joseph Henry, Volume 7, ed. Marc Rothenberg (Washington, D.C.: Smithsonian Institution Press, 1996), 15.